Tan Sri A K Nathan Elumalay, the founder of Eversendai, built the company from a modest structural steel erection company in Malaysia to one of world’s most sought after integrated steel structural turnkey contractors. His sheer determination, keen enthusiasm and acute attention to fine details have served as the driving power behind the development of the Eversendai Group. Under his leadership, the company grew from strength to strength and spread its business from Malaysia to ASEAN, South Asia, the Middle East and North Africa. Some of the prominent structures built by Eversendai during its 3 decades of operations include the Petronas Twin Towers (Tower 2), Kuala Lumpur International Airport, Burj Al Arab, Burj Khalifa, Doha International Airport and Capital Gate. He was also instrumental in establishing Eversendai’s steel fabrication facilities in Rawang, Dubai, Sharjah, Doha, Ras Al-Khaimah, Trichy and Thailand, producing a combined annual capacity of over 234,000 tonnes. Today, Eversendai has a workforce of over 15,000 in 9 countries and operates out of 14 offices. His charismatic approach to business and the construction industry has earned him many accolades. Some notable ones are the Golden Construction Award 2008 from the Trade Leaders Club in Madrid, Spain, the Malaysian Entrepreneur of the Year 2008 from Ernst & Young, the CEO of the Year Award in 2008 by CIDB and the Lifetime Achievement Award for Leadership in Construction Industry by the World Chinese Economic Forum in 2015. Tan Sri is also a prolific speaker and is often invited to deliver speeches at various seminars, forums, universities and conferences. Mr. Narla Srinivasa Rao graduated in 1987 with a Diploma in Mechanical Engineering and has a Post Graduate Diploma in Business Administration from Manchester Business School, United Kingdom. He started his career at Century Construction Pvt Ltd, India as a junior engineer where he gained valuable experience in fabrication and erection of structural steelwork and in hydro and coal fired power plant construction. Subsequently joining Eversendai in 1993 as a site engineer. He held various positions within the Group before being appointed to his current position. He has played a major role in the successful execution of several major landmark projects for Eversendai. Mr Narishnath Nathan holds a Bachelor’s degree in Business Information Technology (Honours) from Coventry University, United Kingdom. He first joined Eversendai Dubai in 2004, after which he was posted to Eversendai Qatar in 2006 as its General Manager where he, among others, set up Eversendai’s fabrication facility and managed several other major projects. He was also instrumental in securing several large contracts for the Group. He also served the company as Country Head/ Executive Director for Indian operations representing 4 divisions i.e. Infrastructure, Engineering, Power and Fabrication. Today, he is the Chief Executive Officer of Eversendai’s Group Oil and Gas division. He is the son of Tan Sri A K Nathan Elumalay, the Executive Chairman and Group Managing Director. 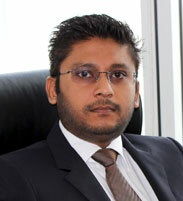 Mr Anbu has 26 years of experience in the areas of residential, commercial and infrastructure projects. Currently, he is spearheading Eversendai India operations with project portfolio spread in steel, civil and composite structures with the focus on holistic construction solutions. 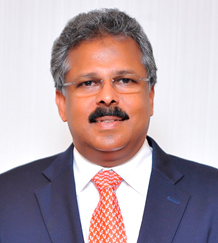 Prior to joining Eversendai he worked as a Vice President in a leading construction firm in operations, spearheading project development for the southern Indian region, inclusive of luxury category residential developments. Mr. Anbu has vast experience in managing large scale project execution, PMCs and consultants, delivering high quality projects promptly to the stakeholders and customers. Mr. Chandrasegran has over 25 years’ experience in the power plant construction industry and was responsible for the successful completion of several large power plant projects. Prior to joining Eversendai, he was based in Singapore working in areas of tendering, costing, planning, negotiations, contract administration and project management of several power plant projects in Malaysia, Singapore and Indonesia. Prior to that, he spent 6 years as a Senior Consultant in an engineering consultation firm. Mr. Pardhasaradhi has over 30 years’ experience in various segments of the construction industry. He first joined Eversendai in February 2006 as a Deputy General Manager and subsequently promoted as Commercial Director for Middle East Operations and then as Country Head for U.A.E operations. He has vast experience not only in the structural steel industry but also with many plant construction projects coupled with highly competent techno-commercial capabilities. Prior to joining Eversendai, he worked with several leading Indian construction companies in executing several major industrial and infrastructural project assignments in India, within the sectors such as major steel plants, power plants, petrochemical plants, mining projects and other oil refineries. Mr Saravanan has been with the Eversendai Group for 20 years. He has handled numerous projects located in the far east, middle east and India while with the Group and has a wide range of experience in structural steel construction, design, construction methodology and execution. Currently he manages Eversendai’s Structural Steel site operations in India and the production in the fabrication factory at Trichy. Prior to joining Eversendai, he worked in the petrochemical industry for 3 years and number of years doing petrochemical plant design and engineering works. Mr. Damodharan has 29 years’ experience in various segments of the construction industries. He started his career in heavy structural fabrication activity for 8 years and later joined an international construction company as project engineer for a refinery project in Surat, India. In 1996 he joined Eversendai as a senior project engineer and held various positions within the Group before being appointed to the current position. He has been part of successful execution of many land mark projects in the Middle East. Ms. Pashmeena joined the Eversendai in 1988. For 12 years, she has worked on planning, strategising and managing fiscal aspects of the Group’s middle east financial functions. She specialises in financial management, working capital management, raising finance, corporate finance, corporate performance management, internal controls, risk management. leadership qualities in treasury management and qualitative analysis. Mr. Muralidharan has 25 years’ experience in the construction industry working in various positions. He joined Eversendai in 1996 and worked in several countries at various position and involved in most of the landmark projects. 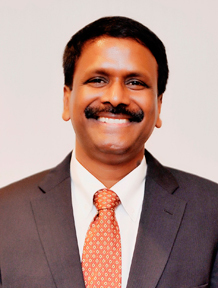 Prior to joining Eversendai, he worked in a private architect and construction firm in India as an architect and site Engineer for various projects within southern India. Mr. Baskaran began his career in Mumbai, India as a Junior Engineer working in the areas of fabrication, steel structure erection, erection of rolling mill equipments, testing, commissioning, cold and hot runs including other aspects for various rolling mill operations. He joined the Eversendai Group in 1994 as a Site Engineer in Malaysia and carried out various projects in the field of structural steel, across Malaysia and Singapore. In 2003 he re-joined the Group as Project manager in Dubai and has been involved with various complex projects in the UAE, Oman, India and Kuwait. He has a total of 27 years’ hands on experience in the fields of structural steel with overall operations management experience with sound knowledge in contracts and commercial. Mr Stephen has 29 years’ experience in structural steel and reinforced cement concrete structures for various types of buildings. 23 of these years were spent with Eversendai in countries such as Singapre, Malaysia, Qatar, India and the UAE. He was part of many iconic building built by Eversendai such as the Petronas Tower 2, Burj Khalifa, the JW Marriot Dubai etc. Mr Rao has over 29 years of experience in structural steel fabrication and erection works. He started his career in India working on hydel power projects, penstock site fabrication and installation works. He joined Eversendai in 1993 as a Site Engineer and was involved in the construction of various iconic buildings including malls, power plants, ariports, etc. At present he is managing the Group’s Saudi Arabia’s operations for the structural steel works which includes design, connection design, fabrication and installation of complicated structures as well as fireproofing works and roofing and cladding works through specialist contractors.